The Young Musicians Collaborative has been working hard for months. 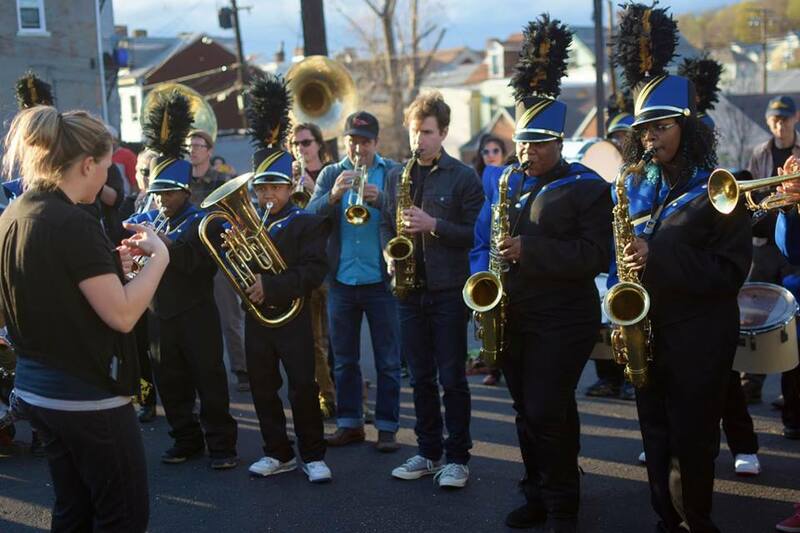 In addition to their frequent classroom visits and workshops with members of the May Day Marching Band, the UPrep students also had the opportunity to work with Timbeleza. Lowdown Brass Band, and Raya Brass Band. They performed for New Sun Rising’s Cultural Gumbo, as well as for two Pizza Poems PGH events, playing in the parking lot of Spak Brothers pizza during the Unblurred gallery crawl. Their performance on Saturday will feature collaborations with May Day, Raya, and What Cheer? Brigade.